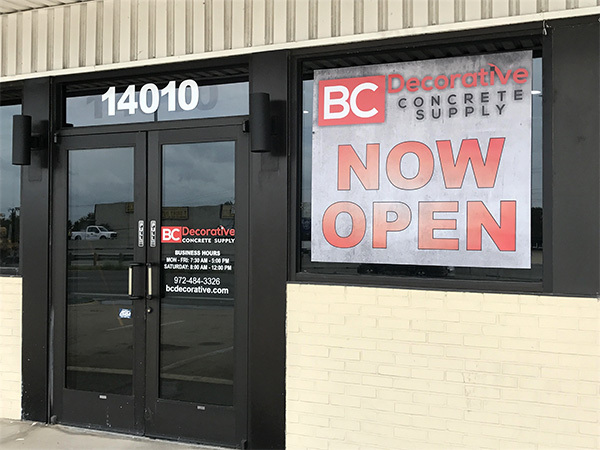 BC Decorative Concrete Supply is a leading source in Texas for decorative concrete materials, equipment sales, rentals and industry expert technical support. Our goal is to provide customers with the best products available to meet individual project needs through monthly trainings and demos and the availability of knowledgeable staff. With an extensive product line which includes stamps, stains, sealers, integral color, polishing equipment and tooling, overlays, coatings, countertop and vertical supplies, and much more, BC Decorative is here to provide the product support you need in order to excel in the decorative concrete industry. 6 Locations to serve your decorative concrete needs: Farmers Branch, Lewisville, McKinney, Cedar Hill, Fort Worth and Longview.